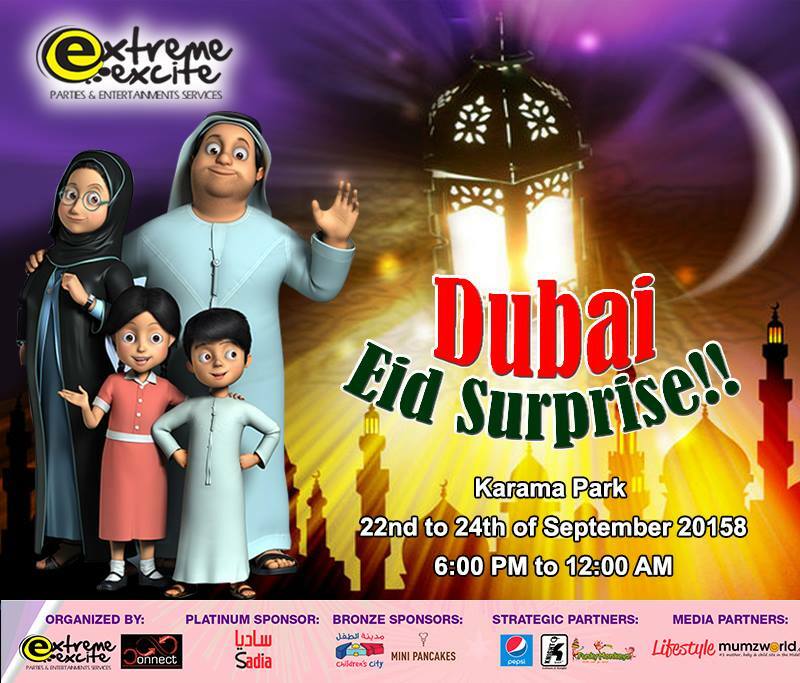 VISIT US WITH YOUR KIDS AT DUBAI EID SURPRISE 2015 at the Karama Park for 3 days, on 22nd to 24th September 2015 from 6:00pm to 12:00. 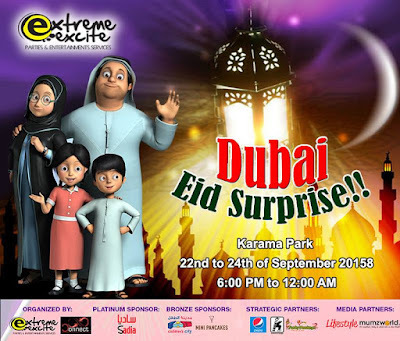 A ONE STOP PLACE FOR FUN, WORKSHOP FOR KIDS, ENTERTAINMENT, & ENJOY SHOPPING TOO. Vendor & Sponsors you may contacts us if you are interested to participate.